1999: I’m 23 years old and I live in Normal, Illinois. Well, sort of…it’s a long story. I am finishing a degree in English at school in Chicago, and I spend my weekends working at Bennigan’s (I didn’t mess up the apostrophe there, promise) downstate. Like I said, it’s a long story and, of course, it involves a boy because most of the stupid things I have done in life have involved a boy. Anyway, if you have ever waited tables, you know that the atmosphere is very social. Food service workers love a party. And every night presents the opportunity to celebrate another day of living the sidework-and-pre-bussing dream. Thing is, you can’t do this at your own restaurant so you have to find somewhere else to hang. For the Bennigan’s crew, the other place was The Smiling Moose. The menu at the Moose was full of typical pub grub – burgers, wings, the usual. But one thing stood out: Burgundy Mushrooms. 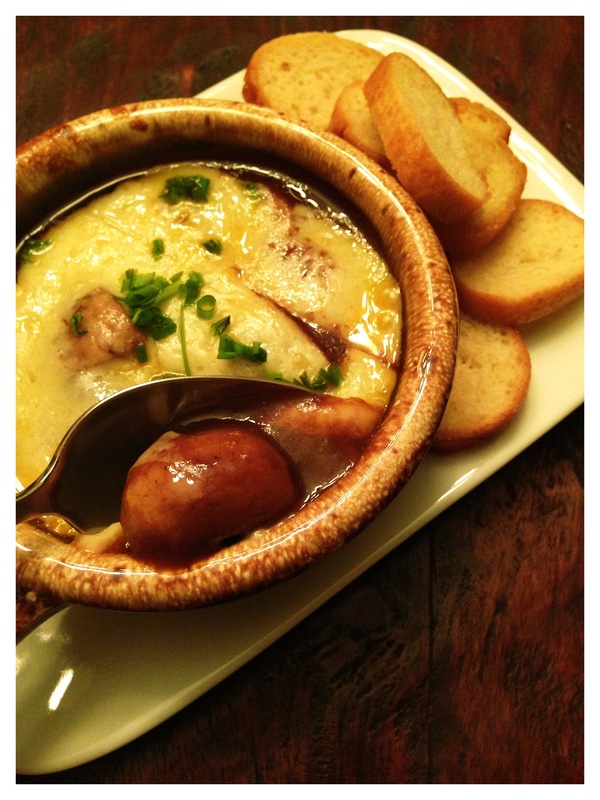 This was a large shallow bowl full of mushrooms in a Burgundy wine sauce covered in cheese and presented with garlic toast. Best. Dish. Ever. I should also point out that this is labor-intensive cooking and further, that this is not a healthy dish at all. It’s very, very rich…but oh so worth it. First, create Julia’s recipe for Sauce Brune (brown sauce). A few things that I do differently here: Julia’s recipe calls for diced boiled ham that has been simmered in water. Mmm…no. I use diced uncured salt pork that I saute until it’s lightly browned. Yes, I have done it both ways and the sautéed way tastes better. Julia also calls for clarified butter. If you have the patience to clarify butter, then go ahead by all means. I usually use some of the fat from the sautéed pork and plain melted salted butter. She suggests oil, too, but I wouldn’t recommend that. Upon creation of Sauce Brune, you will need to use that sauce to create the Sauce au Porto. Follow Julia’s recipe, but omit the butter she asks you to add. Be sure to use a quality Burgundy wine. I usually create this sauce, and then let it cool down completely and store it in the fridge so that it blends together really well. 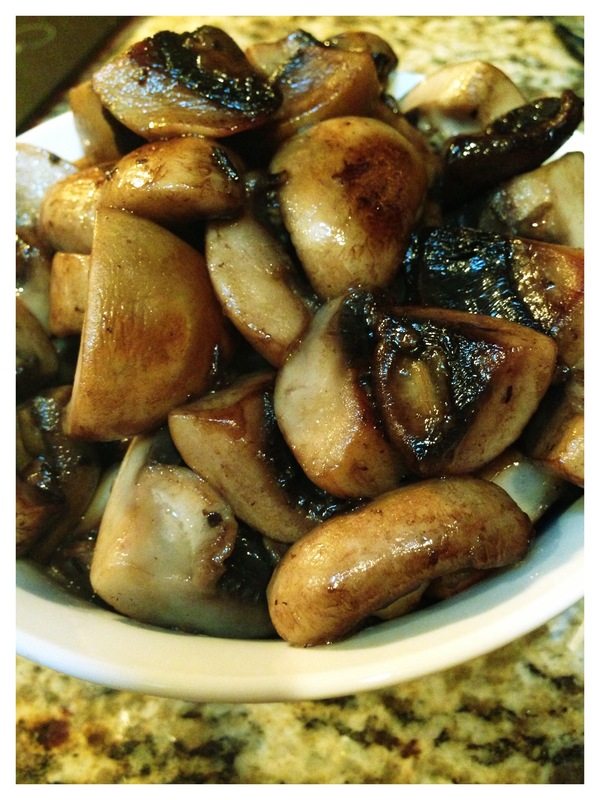 When you are ready to prepare the dish for serving, create the Champignons Sautes au Beurre. You can use any type of mushroom you like. I am partial to Cremini mushrooms, but white will do. I discard the stems completely and quarter the mushrooms. Julia’s recipe calls for a half pound of mushrooms. I usually make about 2.5 pounds in 3/4 pound increments so I repeat the recipe three times. I will warn you now…this is a lot of butter. Don’t skimp…I said it was rich. 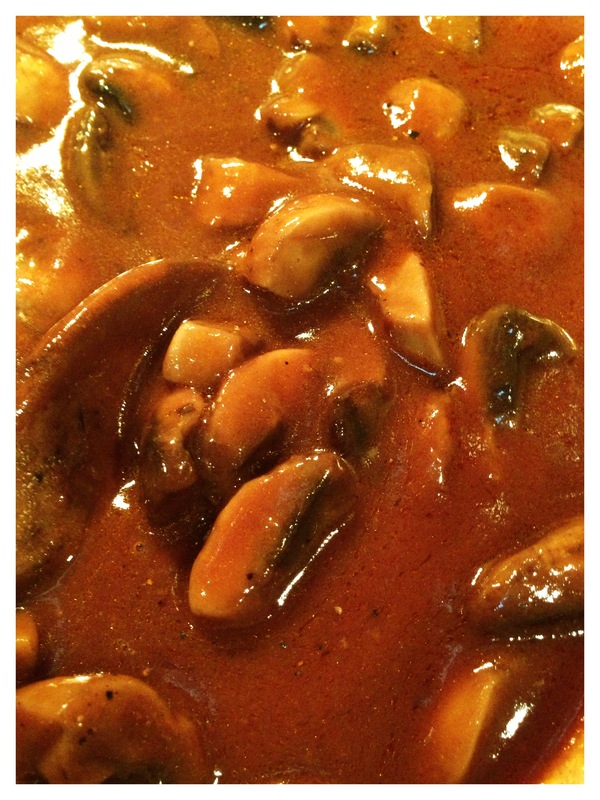 When you have your mushrooms ready, grab your shallow saute pan and your Sauce au Porto. Turn the heat on low, and slowly heat up the sauce. When it is hot, add the mushrooms to it. Let them blend together for 10-12 minutes or so. Keep the heat as low as you can, but make sure they are heating. 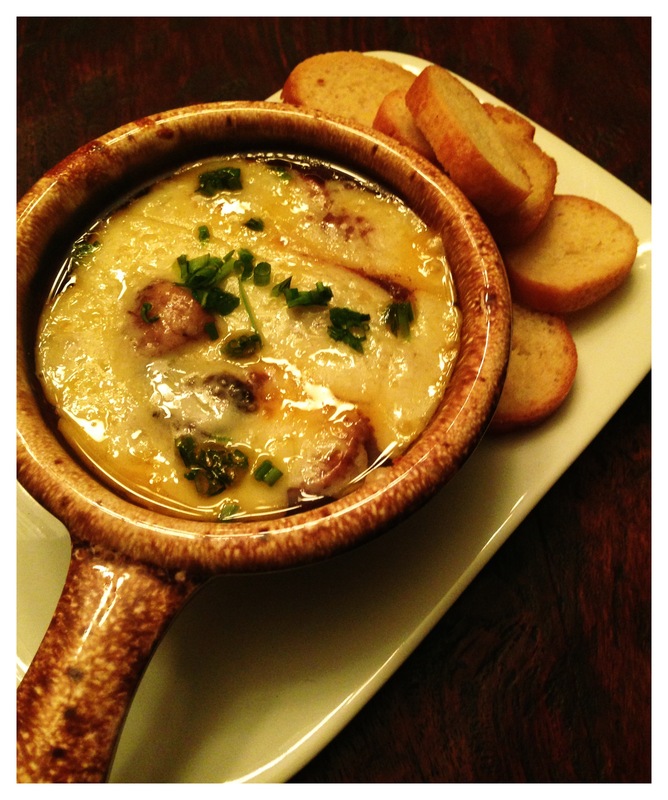 While the mushrooms and sauce mingle, slice your Gruyère into thin strips. When the mushrooms are ready, spoon them into the individual crocks. Cover with cheese. Place the crocks in the oven to melt the cheese. Remove the crocks and sprinkle with fresh chives. *I started this blog for several reasons, and I am starting it up again for several reasons…some the same and some very different. Last I wrote, I was training for a marathon and this, among other reasons, led me to stop the blog. I have learned over the last several months, though, that I crave balance in life: too much of any one thing really doesn’t work for me. In training for a marathon, my whole life became about the run. Everything revolved around the run – eating, sleeping, social plans…everything. And for me? That just doesn’t work. I gave it up. I feel much better now…and judging from recent runs, I am in killer half-marathon shape and I intend to stay that way. It’s been a change for the better as have several other recent changes and adjustments. I’m on my way back to a balanced life…so let’s eat.